A new year is upon us, and unless this one is much different from others, our conversations will be laden with talk of fitness goals and holiday diet missteps. The New Year is traditionally a time for resurrecting our self-control, so this is no surprise. But this New Years' I have a different form of self-discipline in view - one with potentially longer-lasting impact than dropping a dress size. But of course, to seriously entertain these thoughts is to drink a Kool-aid that has been served up to women since the dawn of time: the belief that ideal physical beauty exists and should be pursued at all costs. For much of human history, the curvy beauty has prevailed. Statues of women from ancient Greece and Rome celebrate a body type we would call “plus-size” today, as does Renaissance art. Historically, padded women were considered beautiful because only the rich and idle could achieve such a figure, and because curviness indicated fertility. For women of past generations curviness was extremely hard to achieve unless you had the money to eat well and work little. Thanks to trans fats and high-fructose corn syrup, this is no longer the case. Ironically, the rich and idle of today strive to look undernourished and overworked. And the rest of us rush to follow suit. So, would it have been better to live during a time when well-fed women were hailed as beauties? I doubt it. Because the issue is not “fat versus thin” – it is “perfect versus imperfect”. There has never been a time when women have not defined themselves by (enslaved themselves to?) some ideal of physical beauty. Though its definition may change across the centuries, one element remains constant: it is always a definition of beauty that is just beyond our reach. We want what we cannot have. If curvy is hard, we want curvy. If thin is hard, we want thin. The expectation of physical perfection hits modern females early and often. In middle school, girls cut themselves to deal with the pressures of conforming to the ideal. In middle age, women do, too – but allow the surgeon to hold the knife. We carve the record of our self-loathing into the very flesh of our bodies – a self-marring, a literal carving of an idol. Increasingly, physical perfection is the legacy of womanhood in our culture, handed down with meticulous care from mother to daughter, with more faithful instruction in word and deed than we can trouble to devote to the cultivation of kindness, peacemaking and acceptance that characterize unfading, inner beauty. In this as in all things, there is hope and good news for the believer: one day we will be free of our self-loathings and will live in harmony with our physical appearance. We will be given new, incorruptible bodies – bodies that are no longer on a collision course with the grave. We dare not reduce this future hope to that of an eternity with thinner thighs or a smaller nose. We must celebrate it as the day when vanity itself is dealt a fatal and final blow. But how should we live in the meantime? By all means, we should steward the gift of our physical bodies – but for the sake of wellness, not beauty. Two women can step onto two treadmills with identical fitness goals and widely different motives. Only they will know the real reason they are there. 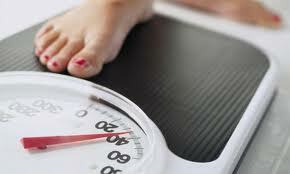 January is typically a time when we talk a great deal about calories, work-outs and weight loss. What if we didn’t? What if we didn’t talk about body sizes at all? What if we made it a point not to mention our own calorie sins or victories in front of our girlfriends and daughters? What if we started living in right relation to our bodies now, instead of at the resurrection? What if every time we looked in the mirror and were tempted to complain we said “Thy kingdom come, Thy will be done on earth as it is in heaven”, laying claim to the future hope that our bodies will one day celebrate function in right relation to form, living in the glorious truth of that future hope now? What if this New Years’ we decided to fast not from food but from body-talk? Sure - hit the gym, eat the Paleo diet, run six miles a day, wear Spanx from neck to knee - just stop talking about it. Stop telling your friend she looks skinny – instead tell her you love her sweet spirit. Choose compliments that spur her to pursue that which lasts instead of that which certainly does not. If someone comments on your own shape, say thanks and change the subject. Banish body-talk to the same list of off-limits topics as salaries, name-dropping, and colonoscopies. Apply the discipline you use to work out to controlling your tongue. Do this for your sisters, and by the grace of God, we could begin a legacy of womanhood that celebrates character over carb-avoidance, godliness over glamour. Sister in Christ, physical perfection is not within our grasp, but, astonishingly, holiness is. Where will you devote your energy in the New Year? Go on a diet from discussing shape and size. Feast on the Word of Truth. Ask this of yourself for your sake, for the sake of your friends and daughters, for the sake of the King and His Kingdom. On earth as it is in Heaven. This is great and I needed to hear this! Yes. Yes and Yes. Love it Jen. Thank you for the motivation and the challenge. As a mom of a 3-year-old daughter, this is my heart for her future. What a well-spoken and incredibly timely Godly answer to the body image battle. Thank you from the bottom of my heart. I'll be sharing this post often. As a recovering anorexic, my family and I took a vow not to discuss food/weight/diets in my presence. This seems almost normal to me, and then when I am around people who still discuss it, I am often astonished by the amount of time spent discussing diets. I hope that women accept your challenge because I know that it is a huge trigger to me personally and I hope that women will keep recovering eating disorders people from being triggered by learning to accept the shape God gave them. I am putting this in my file for my girls to read when they are older. Thank you, as always. Awesome, awesome, awesome post! I don't know why we don't realize we are feeding the image machine by contributing to these conversations! Way to call us out!! A friend suggested I pop over here...and am very glad I did!! Thanks for this reminder that our goal is not "beauty" in the world's eyes, but rather in God's. So good. Love this post! As a woman struggling to lose quite a bit of weight (and do it with a sane and biblical perspective), I really did love this post. I find that I am truly at a loss for what to say when women start tearing apart their bodies verbally, or when they do that to other women... especially since most often I am usually the one with the most "reason" for discontentedness. It is just one giant ball of awkwardness, and the only time I ever think I might like to be a man. (They talk about bacon, or fire, or maybe lighting bacon on fire when they get together. And, truthfully, I'd rather talk about any of that than body parts or weight.) I do want to be a good steward of my body and food, but because of my relationship with Jesus, not out of a desire to look like a bikini model. Thanks for reminding us all to put Christ and our sisters first, as we steer the conversation toward things eternal! Hi Jen, I think this is a wonderful post! Would you be ok if I posted it on my blog, with credits and links to you and your blog? (Mine is passioninaname.blogspot.com, if you would like to know where I mean).